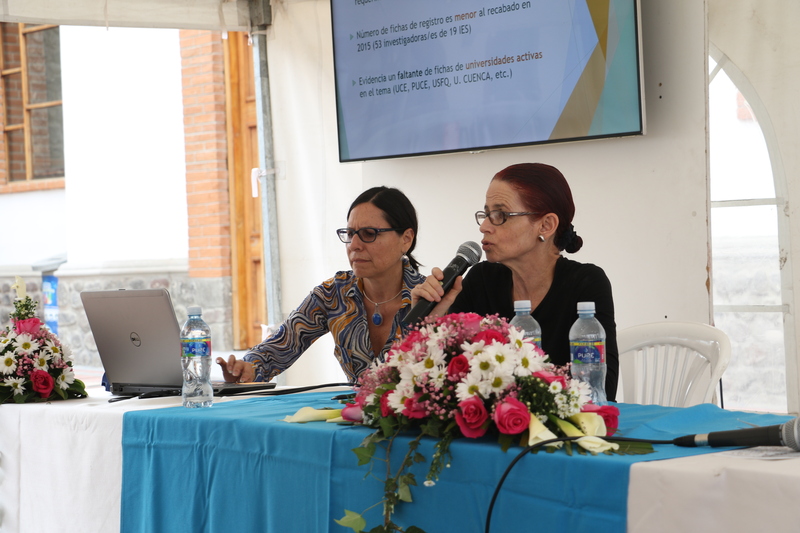 On March 29, 2019, the Higher Education and Gender Network (RESG in Spanish) will hold a meeting in the Sugar Mill Plaza at Yachay Tech University. The meeting will start at 10:00 am and will be attended by representatives of different Universities of Ecuador and open to the public in general. The event will have a series of talks related to Gender in Higher Education. The first half of the day will include a panel with the topic “Women in Science and Academia”. Luciana Samané Ph.D. from Yachay Tech University will discuss the subject of Philosophy and Feminism. Then, Sara Sarano Ph.D. from Yachay Tech will talk about the role of women in science and technology in Latin America. Next, Hortensia Rodríguez Ph.D. from the same institution will discuss the empowerment of women in science. Finally, Teresa Sánchez Ph.D. from Universidad Técnica del Norte will explore the participation of women in academic administration. The panel will be moderated by Lizzeth Beltrán from Yachay Tech, and Félix Paguay from Universidad Politécnica Estatal de Carchi. Diana Santos, representative of SENESCYT will open the second part of the event where they will discuss the status of the project for the creation of a Board of Gender of Experts from Ecuadorian universities, and the development of Operation Regulations for RESG. In addition, Verónica Carchipulla, Acting Student Welfare Coordinator, will present the advances of Yachay Tech University in gender axis.